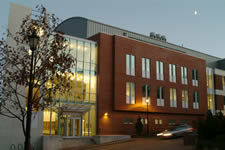 The heart of scientific research and study at PSU is the Boyd Science Center. The University’s proximity to the lakes, rivers and mountains of New Hampshire gives students access to a unique natural laboratory. Resources at Boyd provide students with a place to explore nature’s questions, generated in the great outdoors or under the microscope.